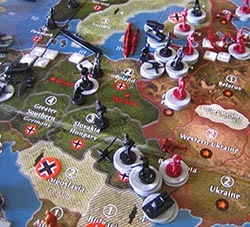 It is spring 1940, five major powers struggle for supremacy of the world. Germany, Italy and Japan are aligned against the alliance of the United Kingdom, France, the Soviet Union, and the United States. The victory goes to the side that conquers its opponents. 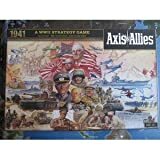 The Axis (Germany and Japan) has great momentum and is expanding its conquests in both Europe and Asia. 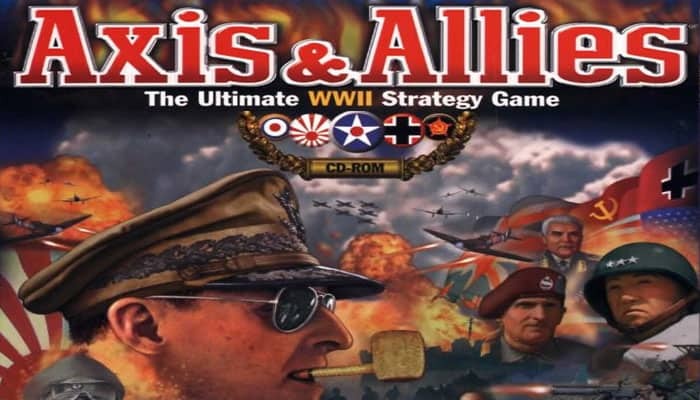 Controlling one of the Axis or Allied powers, you will command both your country's military and economical forces. The game brings the concept of Risk to a new level. 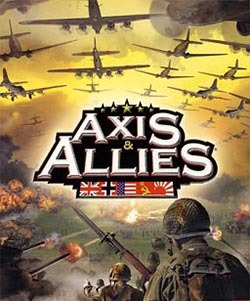 It is still like a classic wargame, but with "additional levels of complexity". This power is economically weak and faces immediate threats. But it has still a strong starting position and can make quick gains early on. If you relish the prospect of a massive land war, the Soviet Union may be for you. They have strong economy but are surrounded on all sides. Its beginning blitzkrieg is must be successful to gain key victory cities makes of the enemy. Germany may be your best choice if you like to be the focus of attention. Most of their territory is spread out greatly in the world. They faces attacks by land, air, and sea, but it can deliver all these types of attacks as well. If you prefer a balanced force, consider the United Kingdom. This power starts in control of most of the Pacific, with footholds in mainland Asia. Its massive Fleet can strike at all three Allies, but it can spread itself thin. Try Japan when you love a serious naval and air campaign. The USA is the strongest economical power, but they are far away from the action. It must get its troops mobilized or it will be contained in its own hemisphere. Consider the United States when you want to play patiently but powefull on the end. A full map of the world is provided and broken up in various territories (similar to Risk). 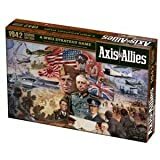 The game includes plastic miniatures that represent various military units during WWII such as infantry, tanks, fighters, bombers, battleships, aircraft carriers, submarines, troop transports, anti-air guns and factories. All of the units perform differently and some have even special functions. The forces have to work together and decide how best to utilize their production points. There is even a chance to develop super technologies that might turn the tide of war. 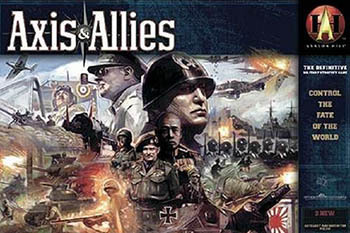 Axis and Allies can be played by 2–5 players, the game was originally published by Milton Bradley in 1984. A new edition was published by Wizards of the Coast/Avalon Hill (a division of Hasbro) in 2004. 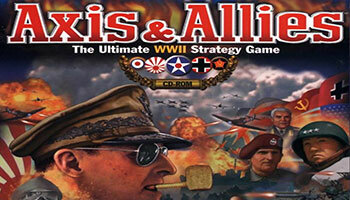 In 2008, a special edition was published celebrate the 50th anniversary of Avalon Hill. A territory with a control marker owned by you or a friendly power. A territory that has no IPC value or national control symbol and that is not controlled by any power. Infantry are a good for a defense, because each costs only 3 IPCs and scores a hit on 2 or less when defending. Tanks cost more than infantry (5 IPCs) but attack and defend on a 3. They can also move farther than other land units and are very suitable for a blitzkrieg. Fighters are strong on attack and defense but can fly only 4 spaces. Bombers can fly up to 6 spaces and can do special strategic bombings.